SwiftAir. They do Caribbean charters. They have been subbing wide bodies for their usual 734s since mid-May. They are actually subs for UPS aircraft operated by an outfit called Western Global Airlines (Western Global Airlines - Cargo - Worldwide Charter). They operate on the SDF-CLE-SDF route. Swift Air is operating charters for Apple Vacations and subbing 767-200's (there were two at CLE yesterday evening from MBJ and PUJ, along with FI arrival from KEF--customs was sure busy!) and a 767-300 in modified Eastern Airlines livery. Xyzzy and lincolnjkc like this. Wow! I hadn't seen that version of Eastern's livery before. Nice looking. 757 taking off at BKL? Saw this guy out on the tarmac last month. UA 2116 CLE-ORD looks like it took off and came back in for some type of maintenance issue. I discovered this looking at Flight Aware showed 2116 as a arrival from CLE. 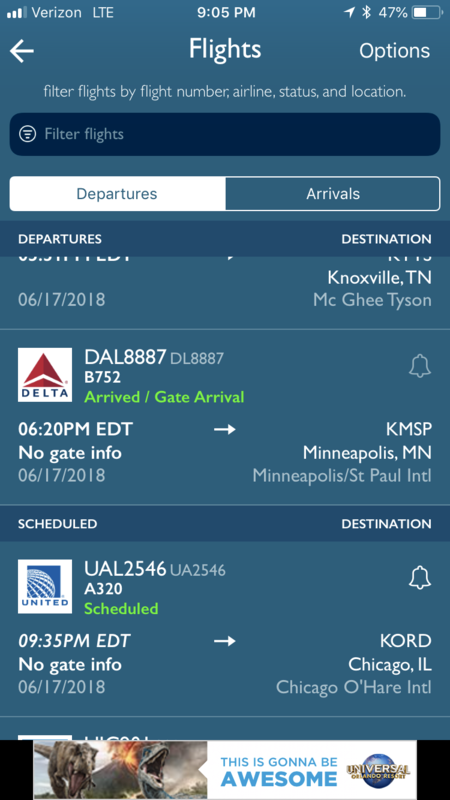 That was the case with a lot of aircraft on June 28th and 29th due to the huge weather delays in the North East that screwed up so many flights and resulted in many being severely delayed or canceled. "United Airlines has been a great partner to our airport," said airport director Robert Kennedy. Maybe so but not the partner they could be today, IMHO. Yes, I understand CLE was no longer needed as a major hub in the combined UA/CO system. And I also understand that while they were certainly making good money on O/D traffic, they might have been losing money on connecting traffic (as I believe Smisek once claimed). United's approach to CLE shows how they were more poorly run than Delta. With UA, everything seems to be all or nothing with the holy grail being the transportation of passengers around the globe where Southwest, Frontier, and Spirit can't bother them. Everything else is in a far second, third, or fourth place. By contrast, Delta tried to take a sensible approach in cities where they had some market power. LaGuardia is not a hub per se but they are trying to capitalize with a strong presence there piggybacked on their strong presence at JFK. They didn't abandon Cincinnati, either. United could have looked at where they can make good money through CLE and right-size their operations for that. The development of 70-75 seat aircraft only would have helped. They didn't need to keep service to places like Montreal, Knoxville, and Albany but keeping service to places like Kansas City and Atlanta would have made a lot of sense. With the right size A/C, it can't cost them any more to connect a passenger going from, say BOS to MCI, through CLE as it does through ORD or IAD. There's real O/D traffic on those routes, too, that they've allowed to slowly bleed away to their competition. RNE and IndyHoosier like this. By contrast, Delta tried to take a sensible approach in cities where they had some market power. LaGuardia is not a hub per se but they are trying to capitalize with a strong presence their piggybacked on their strong presence at JFK. They didn't abandon Cincinnati, either. Agreed here... I always thought since United was convinced at downsizing at CLE, they should have done with CLE what Delta did at CVG. Very small hub, but relieves pressure at Atlanta when needed and still connects a few passengers to higher volume destinations. They should look at a Tampa direct flight. comfortablynumb, JimInOhio and FreqFlyerCLE like this. And SAN, SEA, BWI, LAS and PHX for crying out loud! I doubt UA would be successful in those markets. LAS and, to a lesser extent, PHX are leisure markets where UA has less market power. Leisure travelers often will pick Spirit or Frontier for no other reason than they are cheapest. Granted, UA's Basic Economy fares may change that to some degree. Where they can make money is with business travelers who don't want to connect or fly on Spirit, Frontier, or sometimes even Southwest. UA may not be able to justify 160+ seat aircraft on most non-hub destinations from CLE and that basically rules out anything west of the Rockies. The obvious exceptions are LAX. MCO, CZM. Why not DFW and PHL along with some other large cities east of the Rockies? I think they'd have the volume to be profitable. Maybe the question is whether they can make more money elsewhere.